Identifying a edible plants and trees can at times be quite tricky. And other times, it's trivial. Take yesterday, for example. 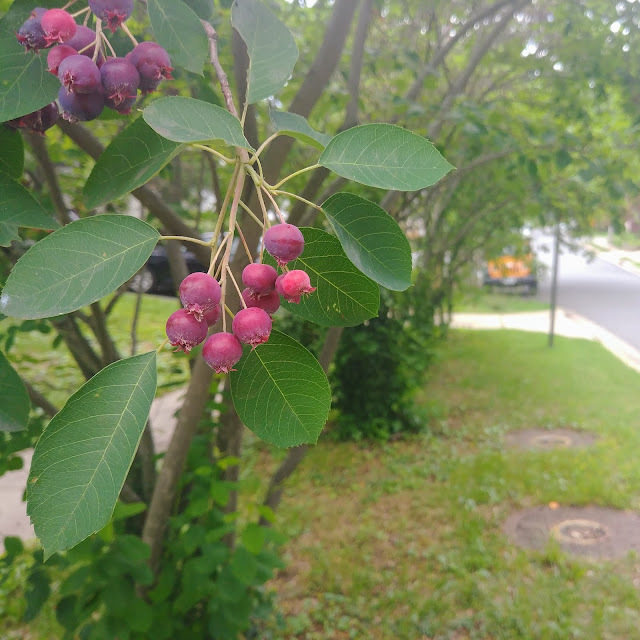 I was jogging through North Arlington when I noticed a Mom and her little ones noshing on the berries of a small tree. All it took was a few seconds of my time and a casual "what ya' eating?" 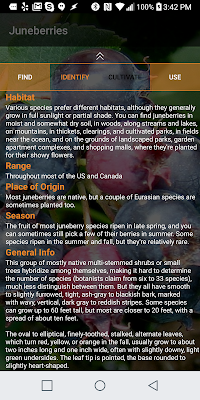 to discover a new, delicious, wild edible. 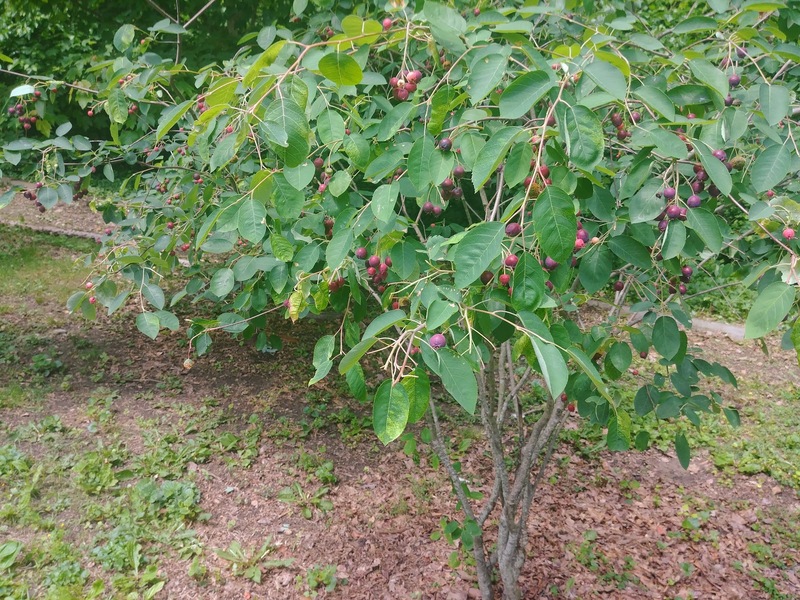 The Mom in question explained to me that they were Serviceberry's. I grabbed one off the tree a took a bite: wow, they were delicious! I'd vaguely heard of serviceberrys, but it never occurred to me that they might be local to my area. After exchanging a few other pleasantries, I continued on my run. About a minute later it hit me: you idiot, you should have snapped a few photos of this mysterious fruit bearing tree. 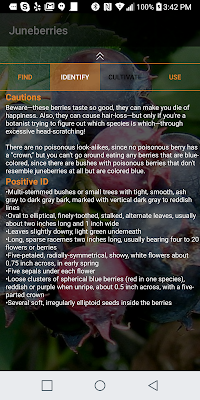 According to the Wild Edibles App, serviceberrys are relatively easy to identify because they have a 5 pointed crown at their base. Apparently there are no poisonous berries with this feature. Also, the Wild Edible's app only knows 'Juneberries' which are perhaps a more widely known name than Serviceberrys, but they are ultimately the same thing. It boggles my mind that I've run by these delicious berries dozens of times. They would be the perfect trail nibble, easily as tasty as raspberries or blueberries. I'm sure there's a good reason why we don't find Servieberrys in the store. Maybe they are hard to cultivate on a large scale? Or maybe the berries don't stay fresh long enough for transport. All I know is, taste isn't the reason why. Next time you pass a tree with berries take a closer look: do the berries have a 5 pointed crown? Then you may have just hit the jackpot. Take your time to fully identify the tree or bush, and then enjoy!